FILL the large pan with water and bring to a boil. First clean the preserving jars very well by boiling them shortly in the water. That way you are absolutely sure all the bacteria are gone. REMOVE them carefully from the water using the tongs and place them on a clean kitchen towel. Throw away the water and use the pan again to create the lovely sweet and sour water. First RINSE the cucumbers and slice them anyway you like, we choose to create small cubes. PEEL the ginger root and cut into slices or pieces, whichever you prefer. COMBINE water, vinegar, salt and sugar in the large pan. 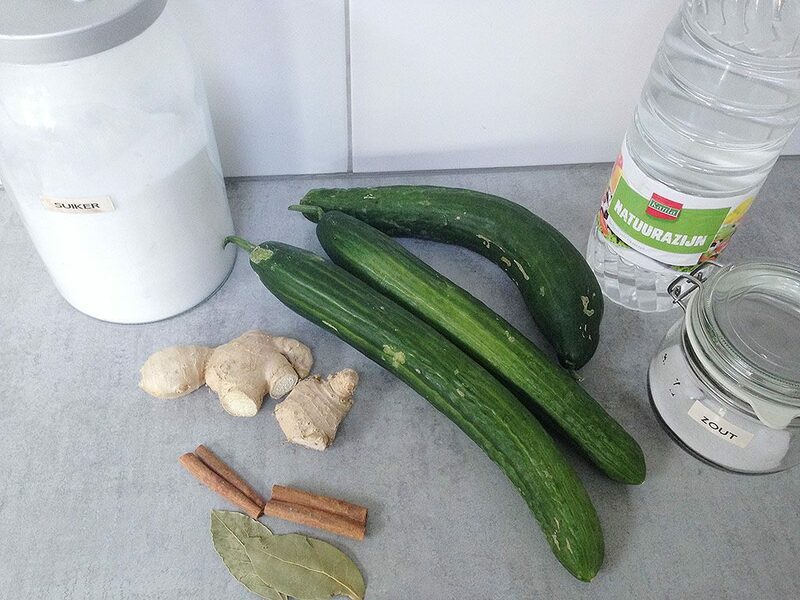 Bring to a boil and then ADD the cucumber cubes, ginger pieces, bay leaves and cinnamon sticks. Let it cook for about 10 minutes. 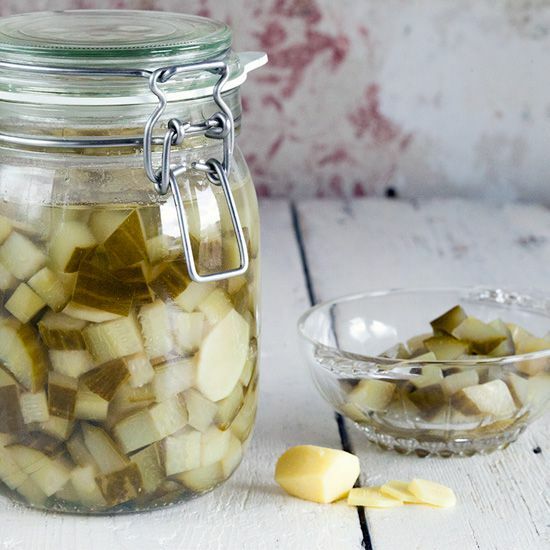 DIVIDE over the preserving jars and put away in a dark place, like a basement, up to 1 year. 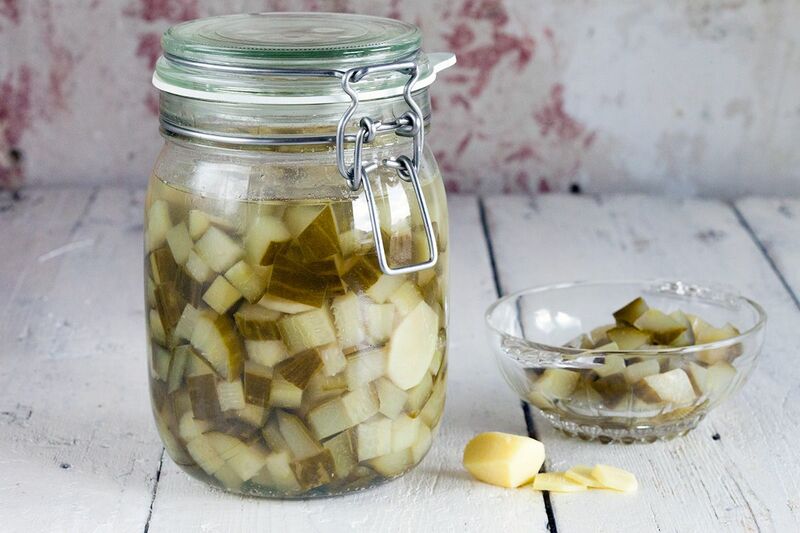 But our pickled cucumbers never last that long! 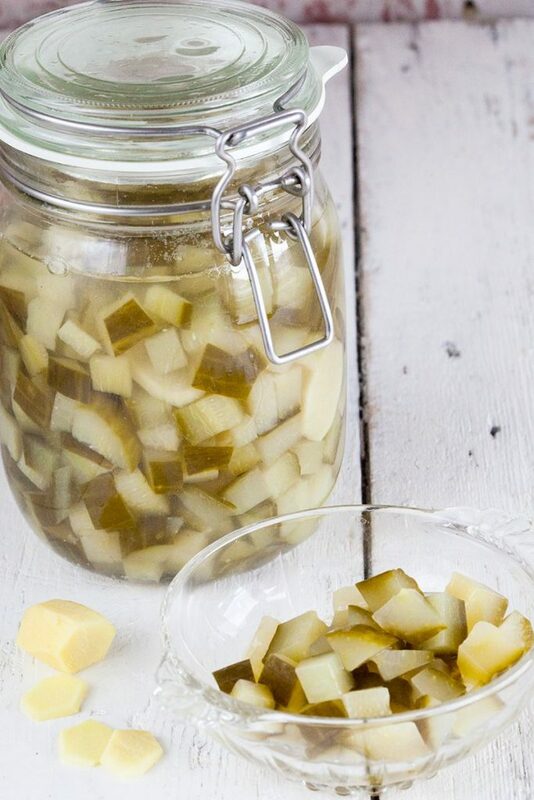 We use them in salads, or actually, any other way you normally use pickles for. Enjoy!